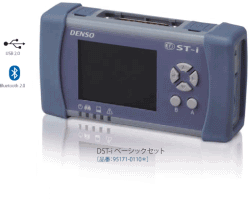 Denso DST-i 95171-01125 (Without preinstalled software), Without preinstalled software. 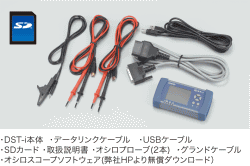 DST-i + 4x channel oscilloscope, Without preinstalled software. Only device DST-i. 4x channel oscilloscope Electronic Spare Parts Catalogs, Service and Workshop Manuals, Service Information, Wiring Circuits and Hydraulic Shematic Diagrams, Diagnostic equipment. Without preinstalled software. Only device DST-i with 4x channel oscilloscope.